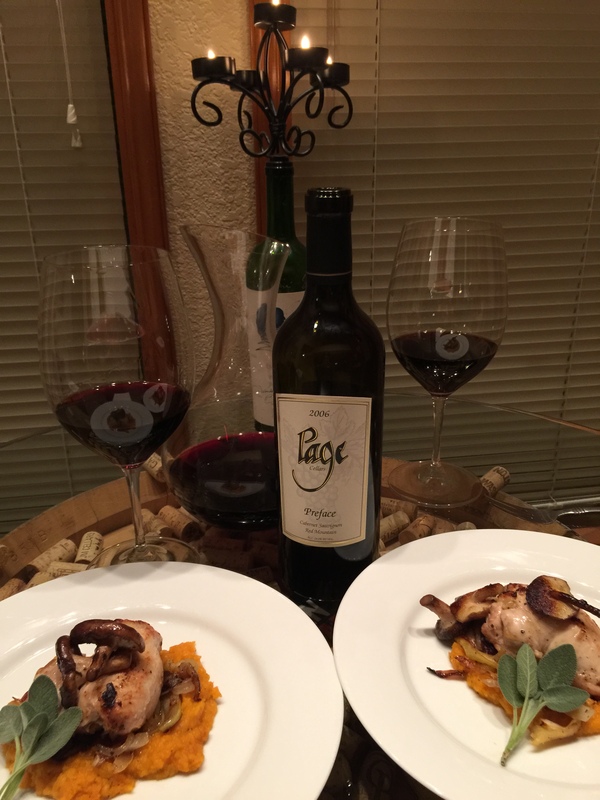 @tastingfoodwine | A Woodinville, WA couples view on food, wine, beer and spirits happenings. On the evening of June 9th, 2016, I attended the King County Library event at JBookwalter Wines in Woodinville, WA. The guest Author Cynthia Nims, discussed her book “Oysters: Recipes that Bring Home a Taste of the Sea”, how she completed the research for it, her travels, seeking out all of the different oysters and how they are harvested, resulted in the recipes in the book and they include a variety of ways to prepare oysters. 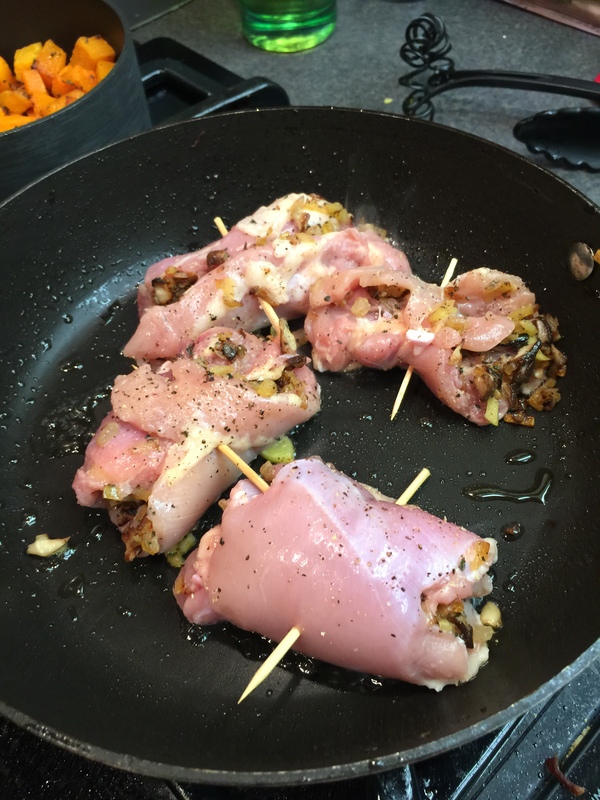 The catering provided at this event, Perfect Pair Catering, used a few of Cynthia’s recipes for the guests to taste. 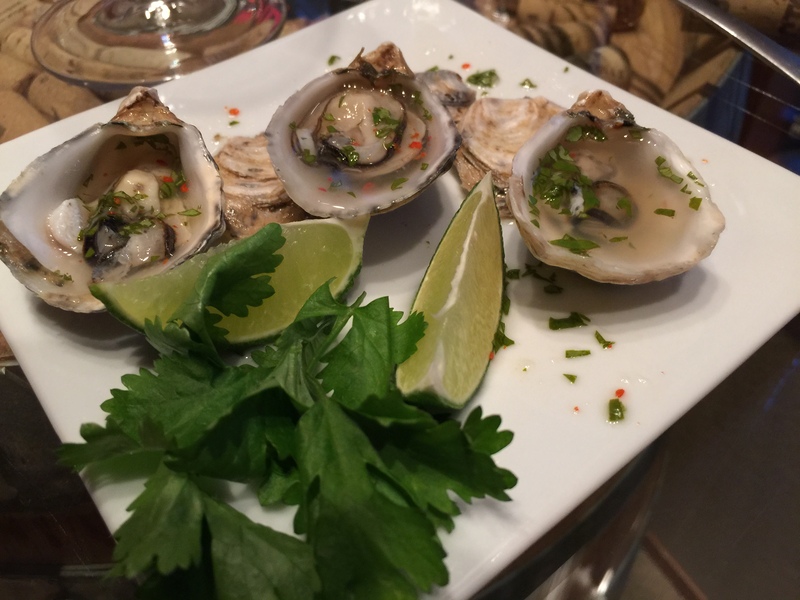 Oysters on the half shell with a Lemon-Rosemary mignonette, Zippy Oyster Shots, Smoked Oysters and more. 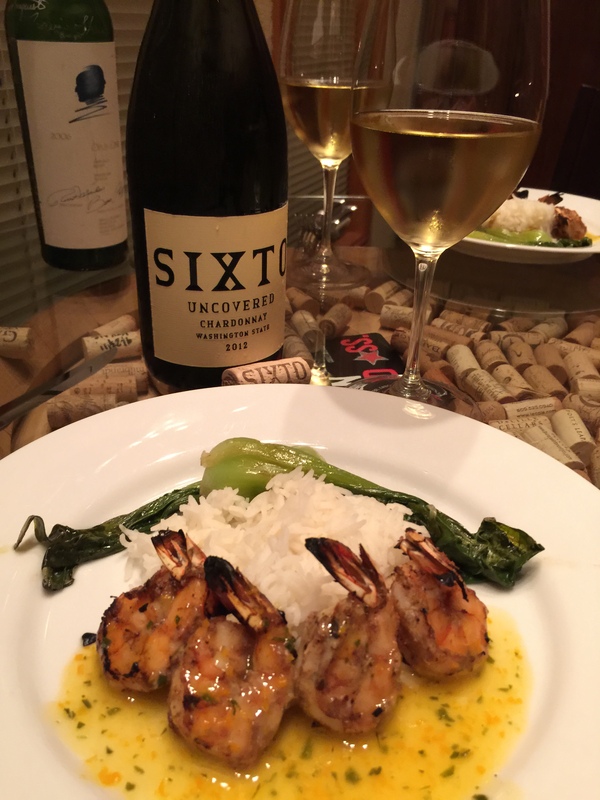 Kevin Brendt, Tasting Studio Manager at JBookwalter Wines in Woodinville, was the wine host for the evenings event and paired the wines with the fabulous seafood dishes. 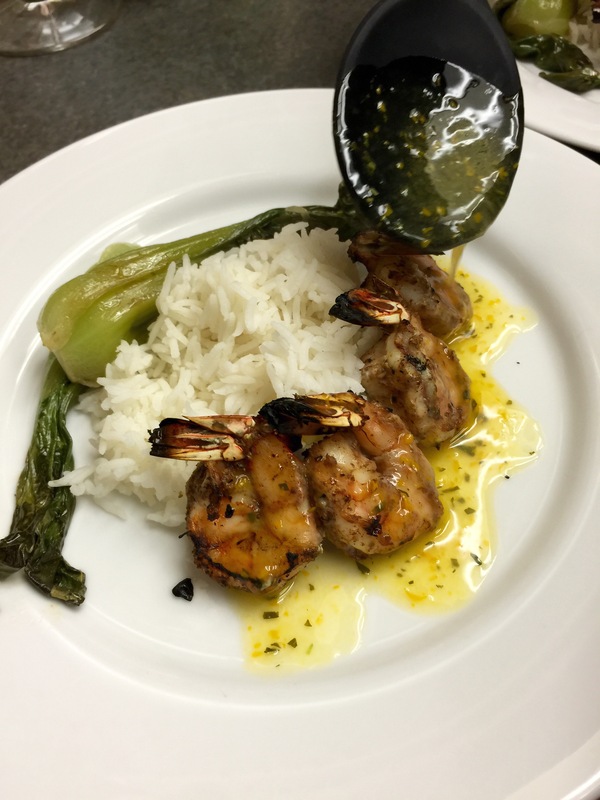 The event was a great time and Kevin took the time to explain each dish and why he chose the wine he paired with the foods. Rosé wine, whether its in the middle of February on a rainy day in Woodinville, or a hot sunny day in the park at the Celebrate Woodinville Festival, Rosé wine is one of our favorites. There is something about the wine that is exciting to me, because it has such a range of dryness and sweetness, depending on the grapes used and each winemakers creation. This weekend is Valentines Day, the start of an exciting time for Kevin and I in Woodinville. We head out collecting Rosé wines each year, amassing a large collection of wines from Woodinville wine makers. 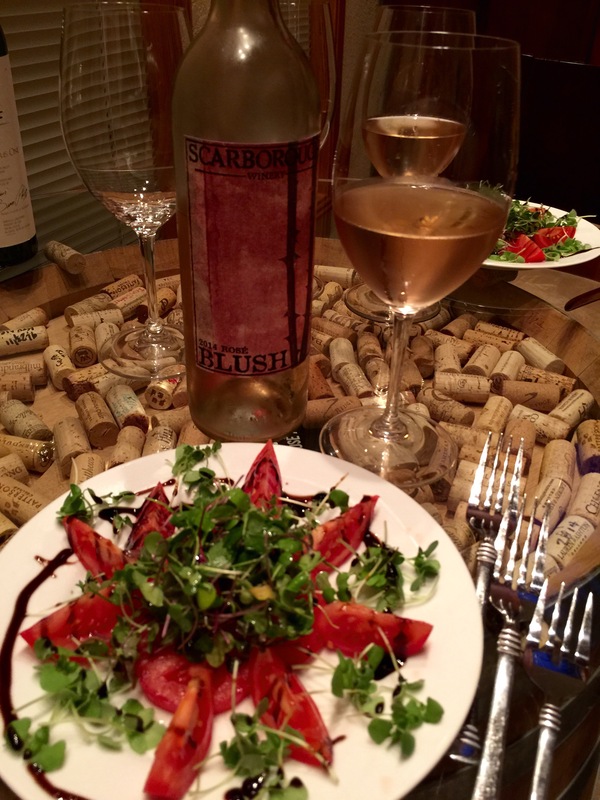 Whether its a seafood dinner on a Tuesday, or a romantic dinner at the LeBrendt Bistro, or our 4th annual Rosé Roundup party in August, a Rosé wine is great at anytime! 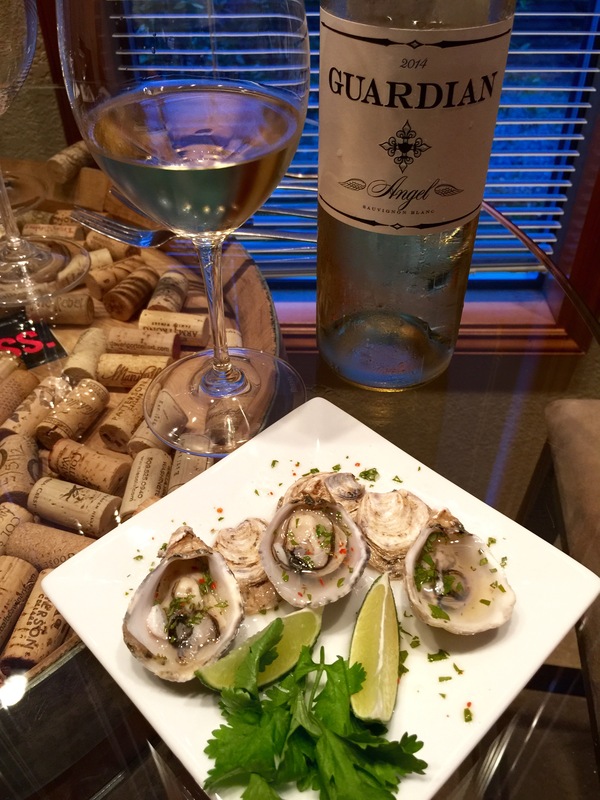 Get out for a visit to Woodinville Wine Country, there is so much to see! Here is a list of Valentines Day Events! 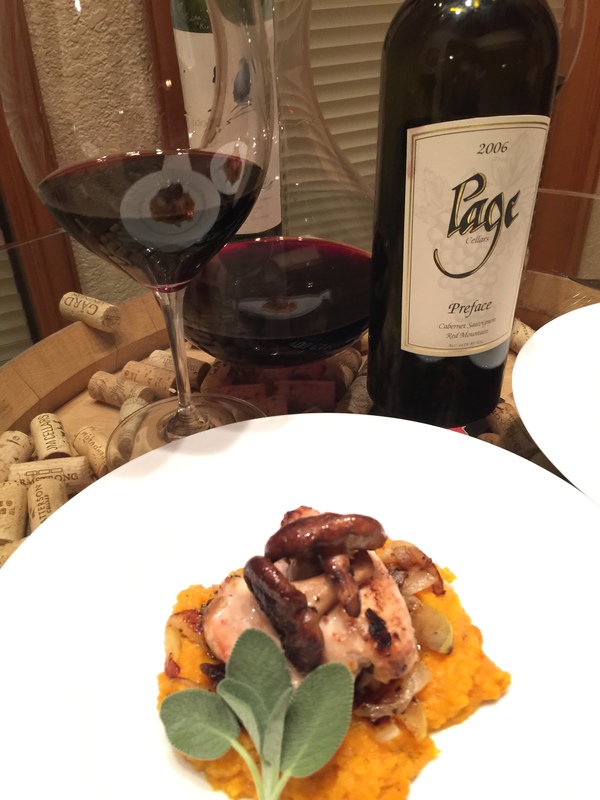 Did you know that there around 80 wineries that make wine, right here in Woodinville? I’m not talking about Chateau St. Michelle, which was the first winery here and created an anchor for the local wine industry over 25 years ago. These are small to medium sized wineries making anywhere from 500 to thousands of cases of wine every year with most of the grapes grown in Eastern Washington. Our Back Alley Tour begins with a slow drive in our car in the Woodinville Wine Warehouse District. Circling like a hawk, searching for sounds of forklifts or conveyors humming. Kevin spots activity at Patterson and Guardian Cellars, and we hurry up and park. 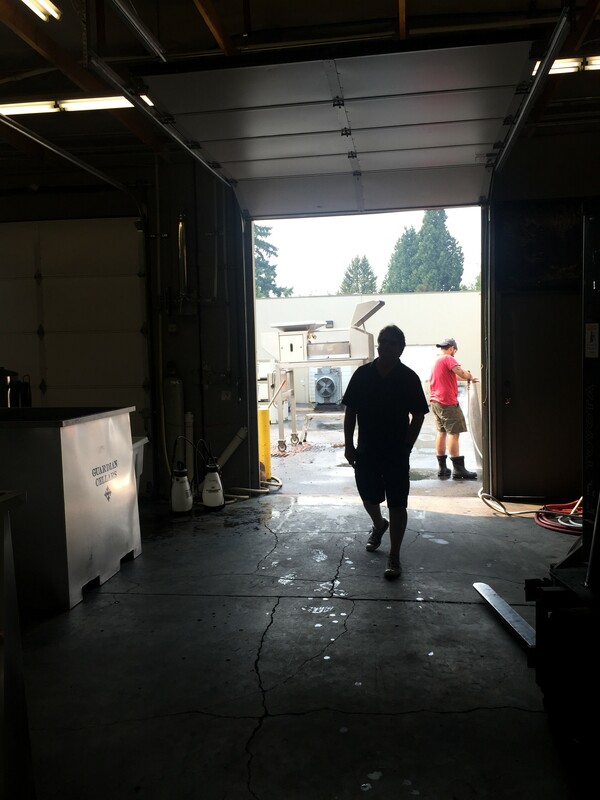 We stopped in at Patterson Cellars, where Jack Patterson was in the back alley, assisting another wine maker, processing several tons of Chardonnay grapes. 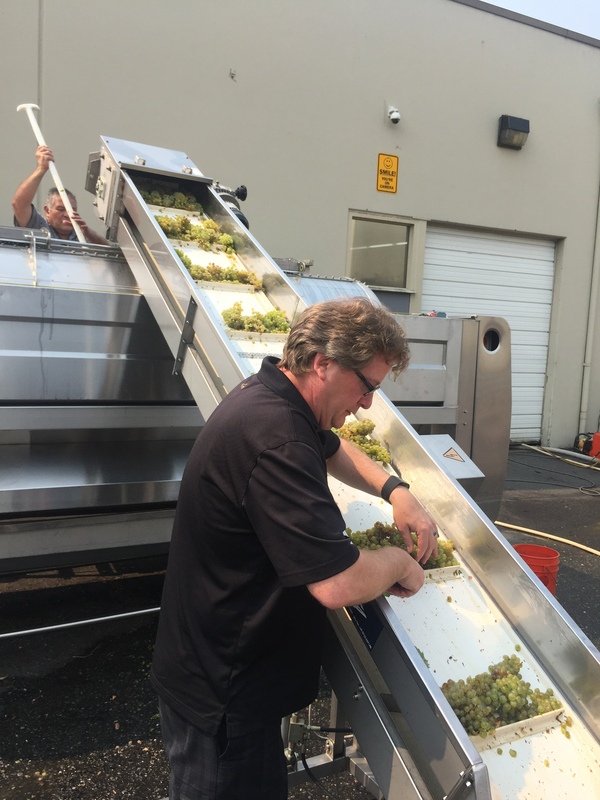 Of course, Kevin jumps right in and helps with picking out the leaves from the grapes before they go up the conveyor. 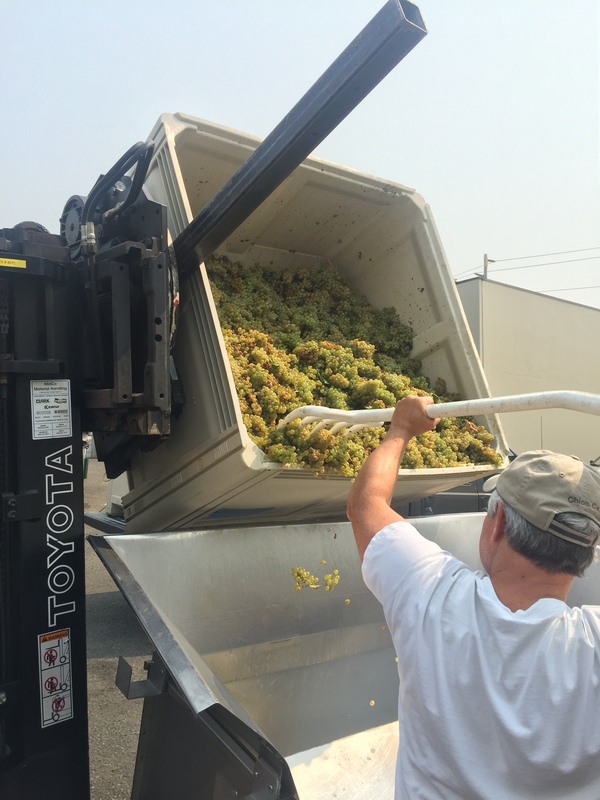 Jack was fork lifting the huge ½ ton bins of Chardonnay grapes and we got to taste them, they were amazing! The grapes are picked through by hand as they run up a conveyor to be destemmed. Here is where the MOG (Material Other than Grapes) is picked off before the destemming occurs. Then, off to the destemming machine, and after destemming process, more hands need to pick out the bits that the machine missed called “jacks”. 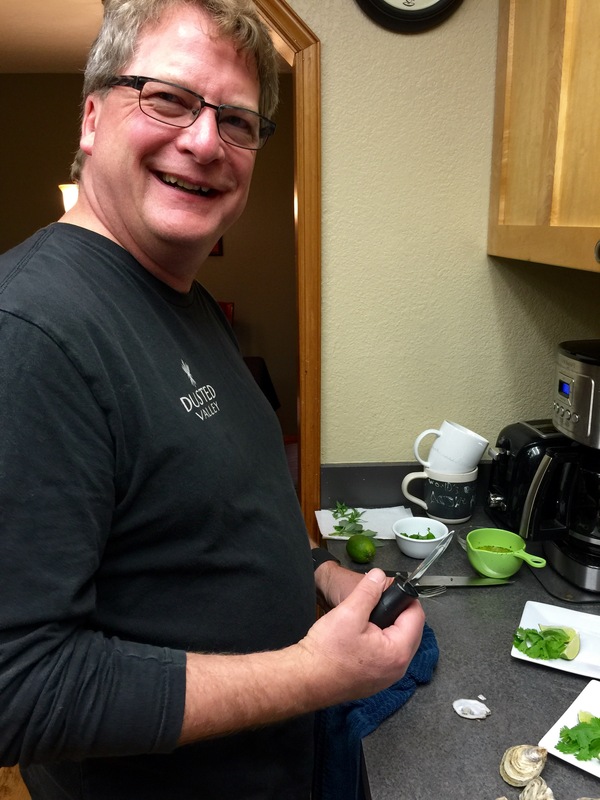 I pull Kevin away from his work to go visit Jerry Reiner, winemaker over at Guardian Cellars. 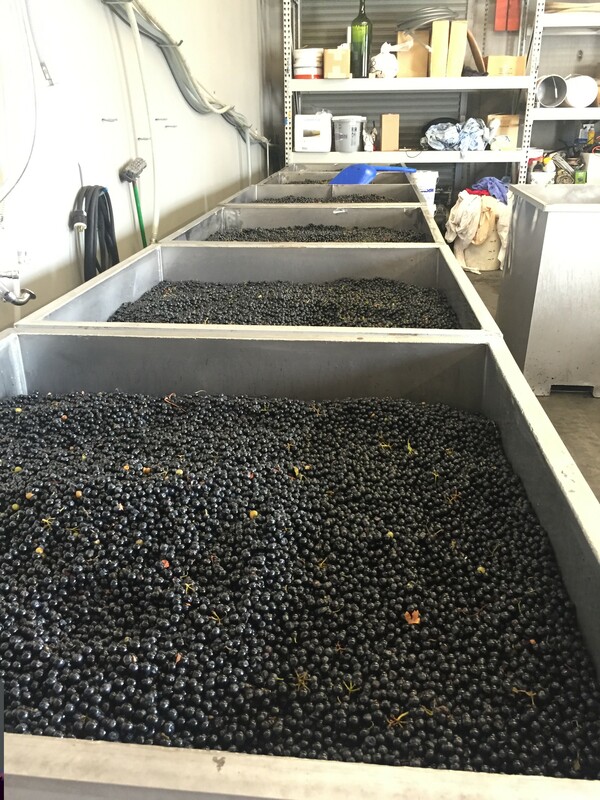 Jerry had posted on Facebook that he was processing twenty tons of Syrah grapes today. But, by the time we arrived at 2pm, Jerry and his team of two others were already done for the day, cleaning the equipment when we arrived. Jerry had already taken care of the twenty tons of Syrah grapes! Chatting with Jerry about their speed, he said they have it down to a science at this point. We saw them in action last year, it is very impressive. 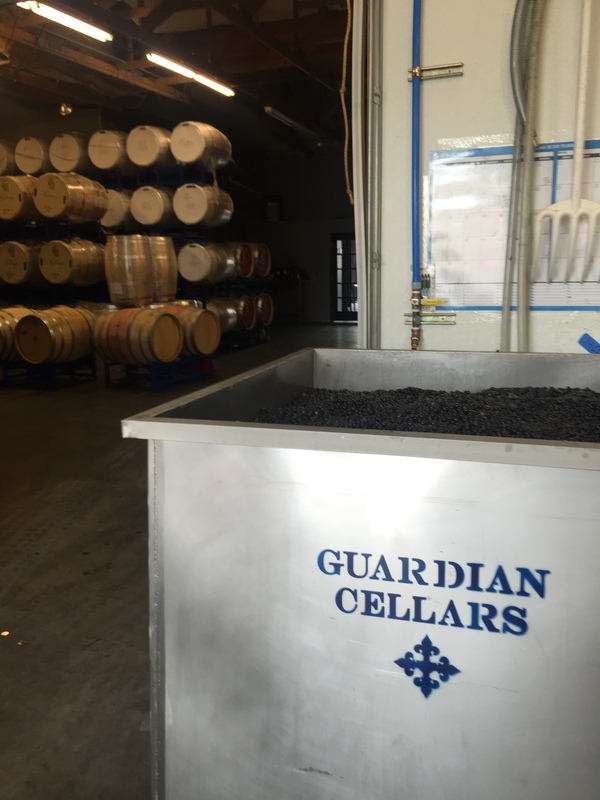 Check Guardian Cellars Facebook to see when their next tonnage of grapes arrive for processing, he usually posts something about it. Kevin and I finished off our visit by going into Sparkman to check out their new patio and enjoy a glass of wine and reflect on how cool it is to see crush activities, participate in the fun, and how lucky we are to live so close to the action. 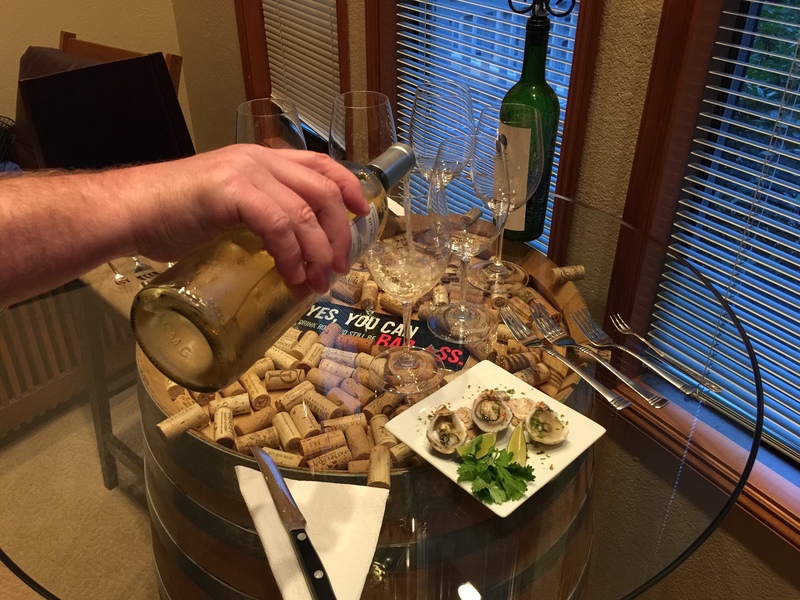 If you ar e a wine lover who is interested in seeing firsthand how local wine is made, you should make a trip out to the Warehouse Wineries in Woodinville during Crush time. It’s happening now and over the next few weeks. “Crush” is used as a synonym for harvest time. There is a lot of action happening at the warehouse these days, tons and tons of grapes are arriving and they need to be processed quickly. 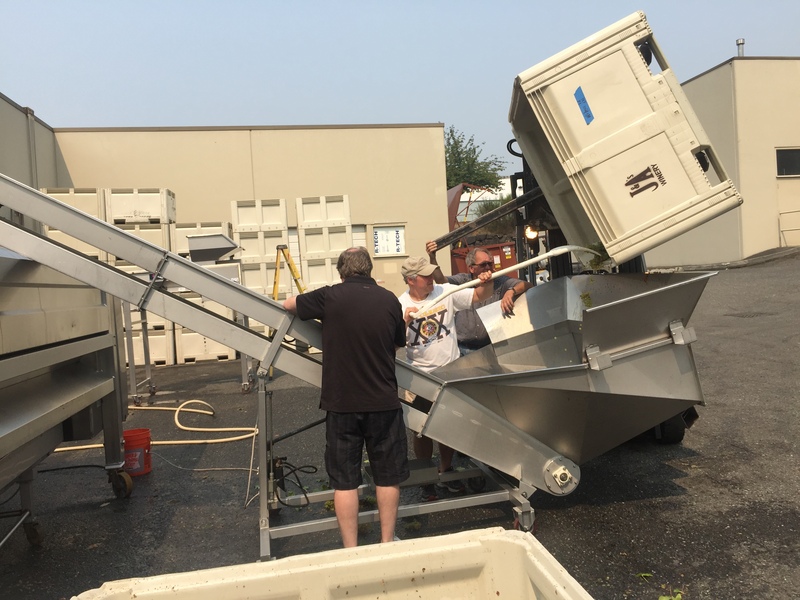 The harvest activities require equipment to first get the grapes removed from their harvest bins to begin the wine making process. 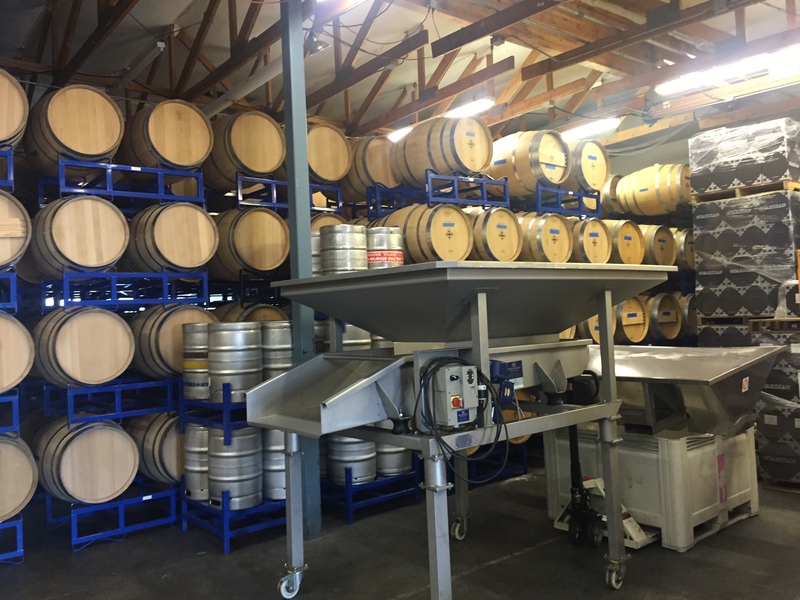 Some of this equipment is co-owned by multiple wineries, and there is a lot of camaraderie in supporting one another here. 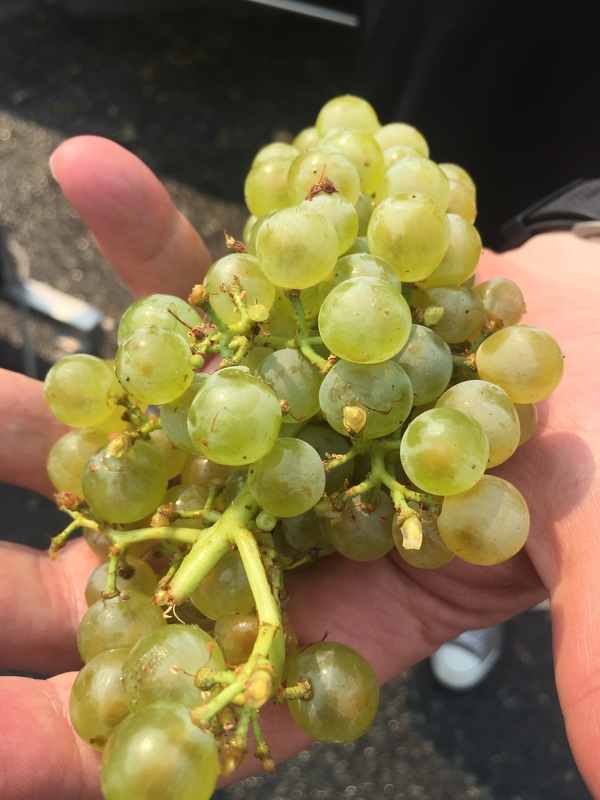 In getting the grapes from bin to barrel, for white wines, this means destemming, and crushing the pressed white wine grapes, extracting the juice to begin fermentation. For red wine production, the wine is made from the “must” (pulp) of red grapes and fermentation occurs when the grape skins and combined with the must. You too, can visit the Warehouse Wineries, step out into the back alleys and chat with the winemakers. They are happy to answer questions and explain what part of the process they are working. During your visit at the Wine Warehouse District during crush, you will see firsthand, the passion and labor that the winemaker and their team puts into making a great bottle of wine. Some of these winemakers also work full time jobs as techies at Microsoft, some are Engineers at Boeing, an Airline Pilot, a Seattle Police Officer, a Bio Chemist, and a Wine Director at a top Seattle Restaurant, to name just a few. There are always volunteer opportunities to help out, and during the bottling times, check the wineries Facebook page or sign up for their emailed newsletters to be in the know. Woodinville’s Warehouse District, 19501 144th Ave. NE, Suite E-600. Open Saturdays and Sundays from 12-5PM.